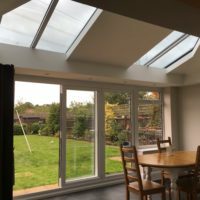 We install the Livinroof solid conservatory roofs across Stevenage, Hertfordshire, Welwyn, Cambridge, Radlett, Waltham Cross and surrounding areas. 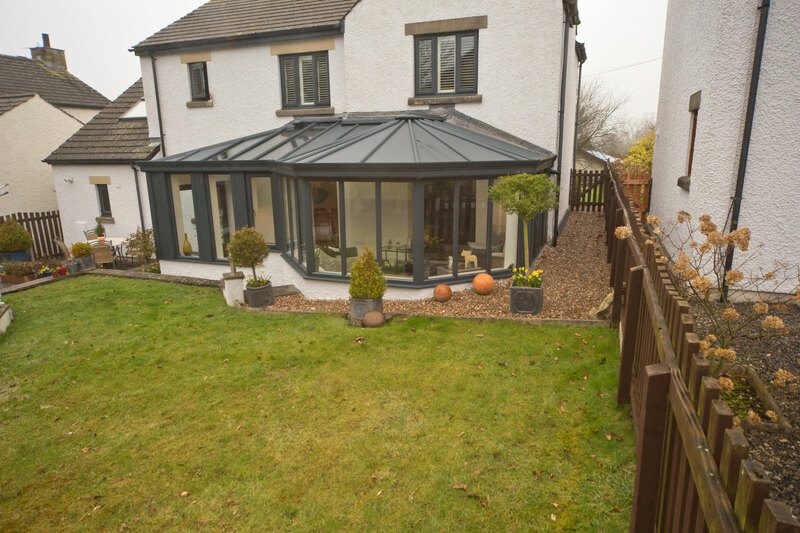 Our solid conservatory roofs, otherwise known as the Livinroof from Ultraframe, offer a flexible solution for enhancing your home, whether you’re constructing a new home extension or replacing an old and tired conservatory roof. This option allows you to enjoy the benefits of total design flexibility. 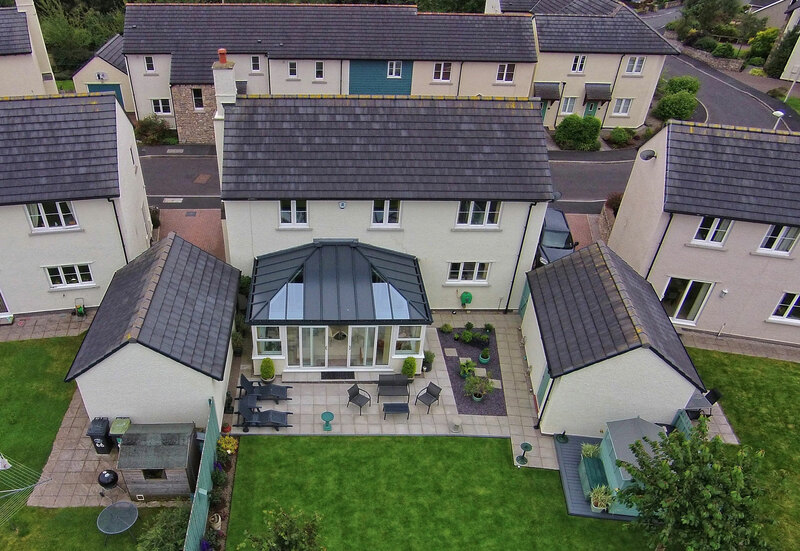 These solid conservatory roofs are constructed from insulated composite external panels, and Kingspan insulation boards to ensure industry leading performance. Due to modern innovations, they are also incredibly lightweight and thermally efficient. 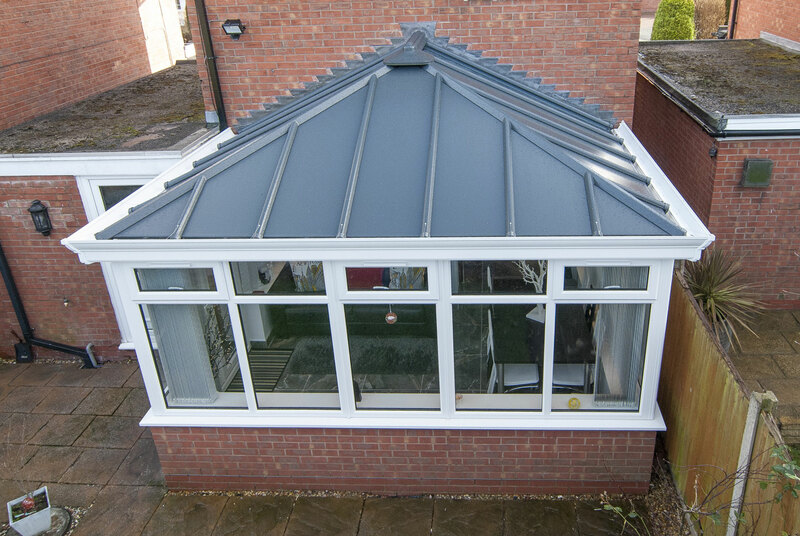 We know the importance of letting natural light into your home, which is why we offer a solid conservatory roof that allows you to do just that. 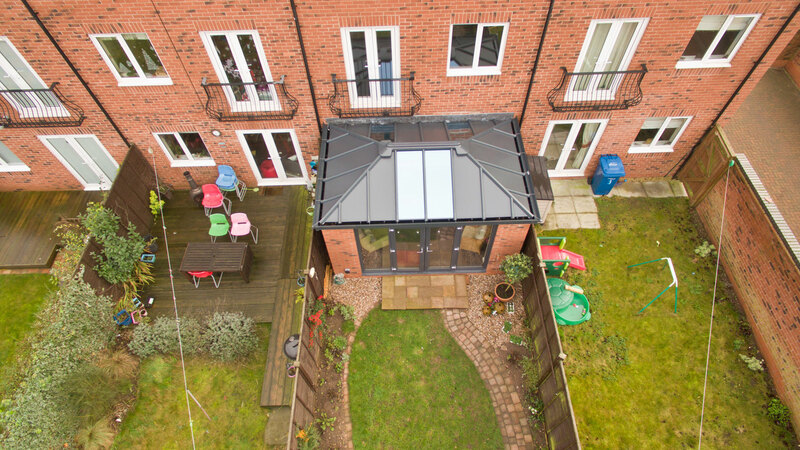 This is made possible through bespoke glazing placement, tailored to your choice to make sure they are a perfect fit. 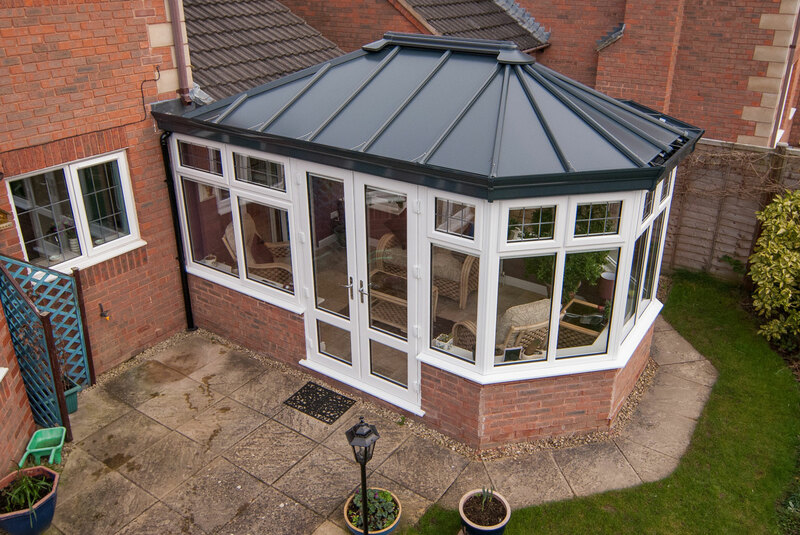 To help increase the bright and spacious feel that these roofs offer, our solid conservatory roofs comprise a vaulted ceiling. This means that they will be able to redefine any space that they are installed in to, bringing something special to your home. 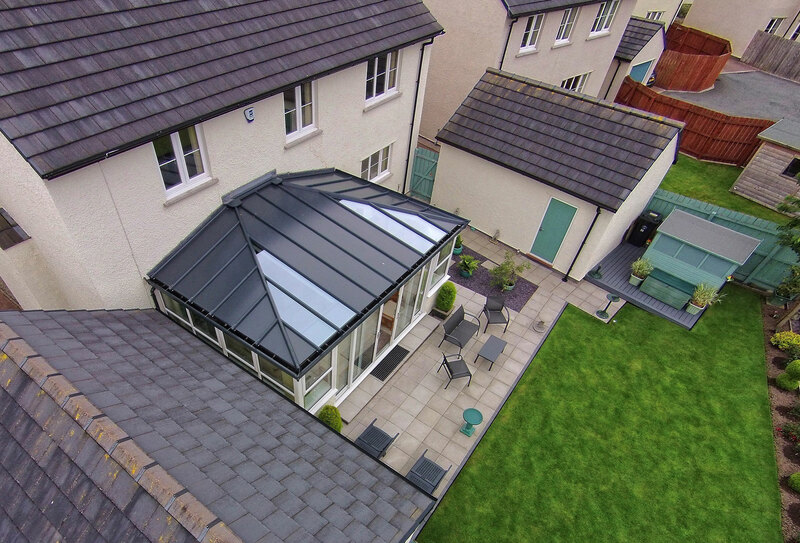 Our solid conservatory roofs comprise a prefabricated design, which allows us to notably cut down on installation time to ensure you enjoy an industry leading roof sooner and easier. Due to this approach, we’ll also be able to minimise mess as we will not need to undertake any cutting. You’ll be able less installation hassle without reduced quality. 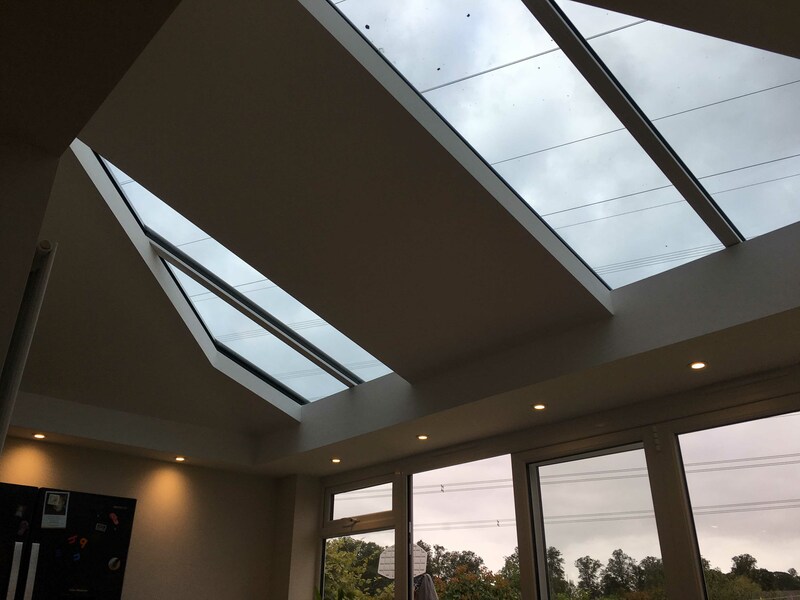 The insulated internal pelmet enables you to bring a real ‘room-like’ feel to your home, running along the inside perimeter of your roof. 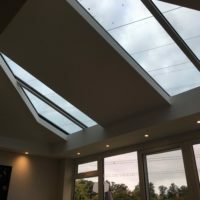 This allows you to enjoy a plastered interior, that can also house lighting and speaker options to bring something special to your living space. It also contains an insulated cavity to help increase the overall heat retention of your property. 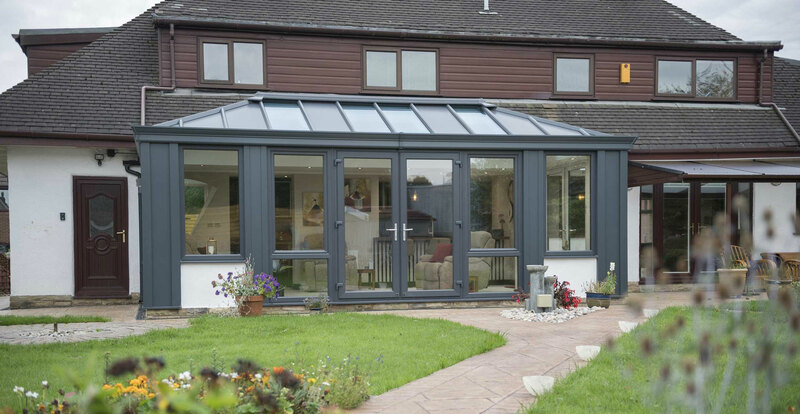 Our decorative cornice is the ideal way for you to enjoy a consistent, beautiful look to the outside of your conservatory, orangery or house extension. 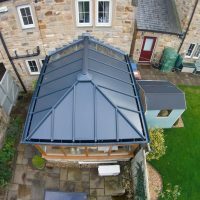 It conceals your guttering, and can be fitted in a one, two or three tier variant and is available in a wide range of beautiful colours. We’ll be on hand to make sure you get the perfect fit. 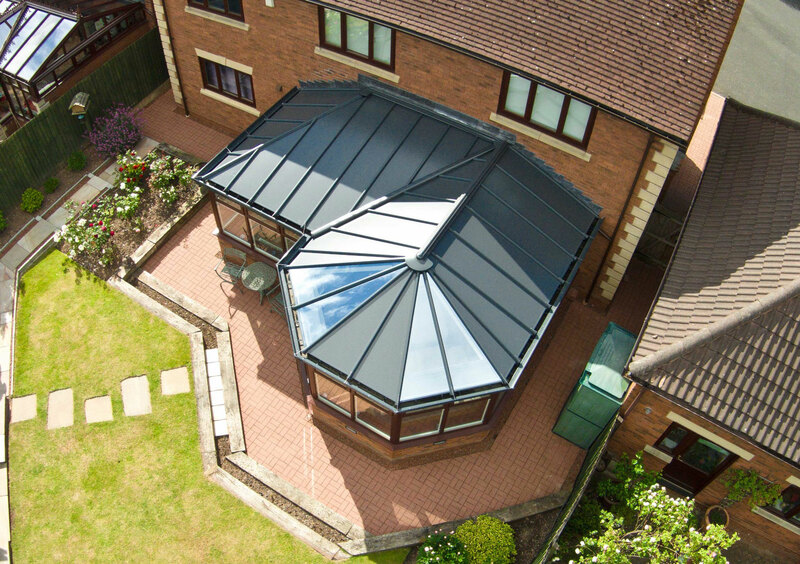 Designed as a true warm roof system, our solid conservatory roofs bypass any cold bridging. This is made possible by the use of thermally broken rafters and contemporary manufacturing techniques. 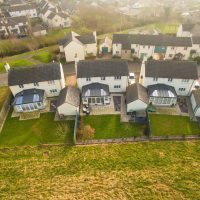 This means that you’ll be able to enjoy a living space that not only gets warmer, it stays warmer for a longer period of time. 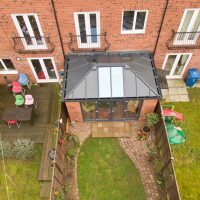 To help you bring something special to your home, the solid conservatory roof that we offer has more glazing options than any other solid conservatory roof on the current market. 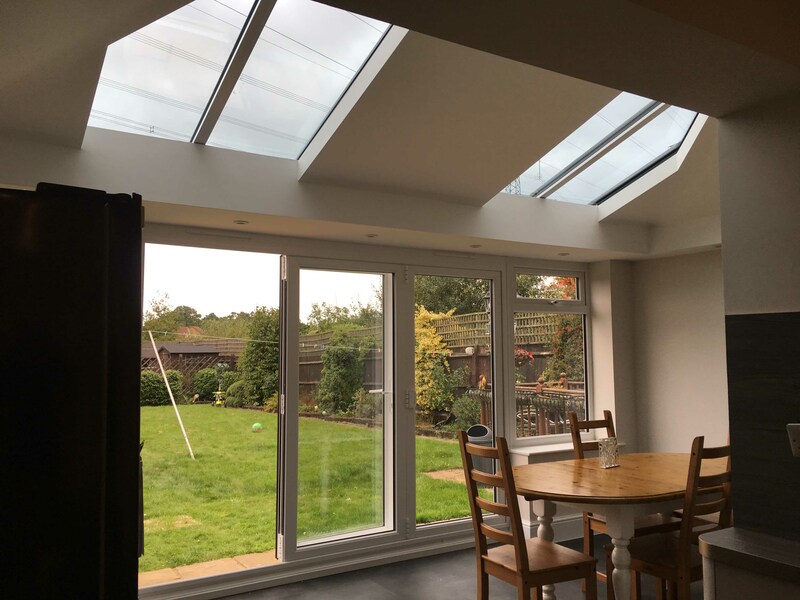 This means that you’ll have the freedom to choose where the glazed panels are placed, letting in the natural light in a way that is perfectly suited to your needs. 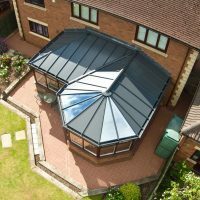 Our solid conservatory roofs can be fitted in a choice of shapes, including Georgian, Victorian, P-Shape, Lean-To and Gable. 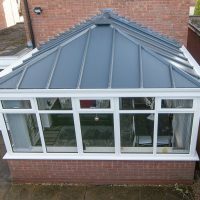 This design is also the only solid roof that can be fitted to low pitched lean-to conservatories. 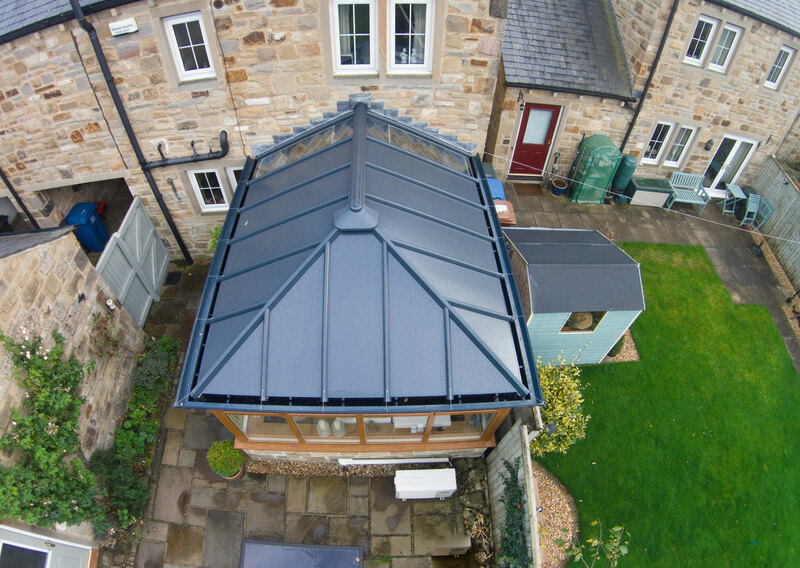 Whatever the style of your home, or the shape of your building space, we’ll be able to offer you a solid roof to accommodate. 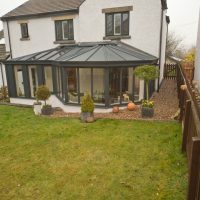 We always strive to offer you lasting quality when it comes to enhancing your home, which is why our solid conservatory roofs are designed to handle the wind and snow loads in your area. They have also been wind tested to withstand hurricane winds up to 130mph, and comprise a super strong eaves beam, ridge, valley and jack rafter for your peace of mind. 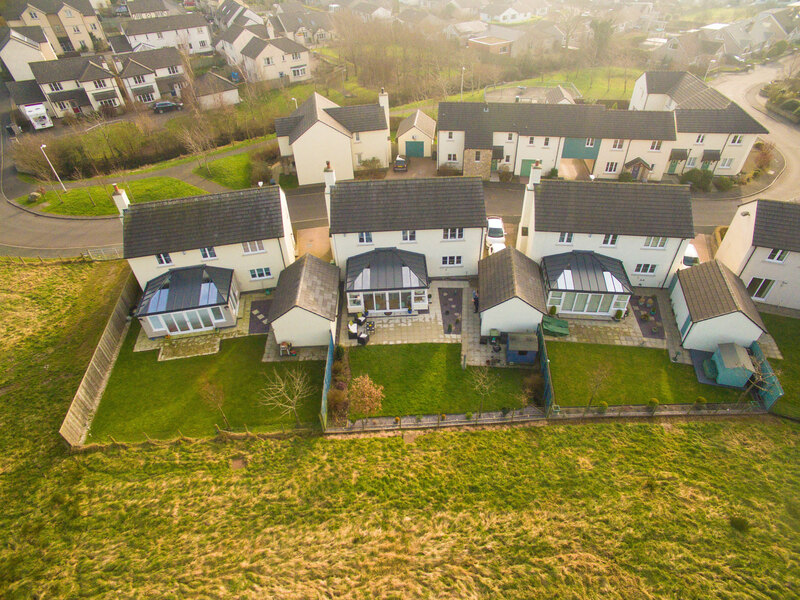 Standing out in the current market, these roofs have been independently and fully fire tested, and is fire rated as B-roof according to EN 13501-5: 2016. 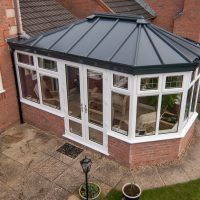 With our solid conservatory roofs, you’ll be able to enjoy a standard of quality that has been tried and tested in accordance with current standards. There is no reason to settle for less. 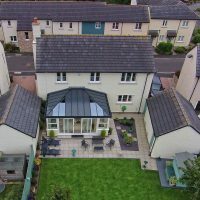 All of our solid conservatory roofs are accompanied with a comprehensive 10-year guarantee, manufactured from premium grade materials and intelligent manufacturing techniques to ensure lasting standards of quality. 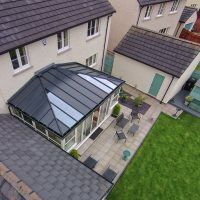 This means that these roofs will be a worthwhile investment for your home, offering high standards time and time again. 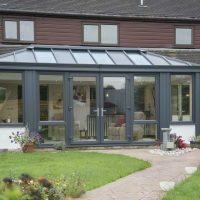 Visit our online quoting engine to get a free, instant and highly competitive solid conservatory roof price. You can also get in touch with us via our online contact form if you would prefer to speak to a member of our team, or you can get in touch via this method if you have any questions.